It was November 22, 1963: most people that were alive and old enough, like those of us that witnessed the events on September 11, 2001, can recall exactly where they were when they heard the terrible news that President John Fitzgerald Kennedy had been assassinated. Today, on the 50th anniversary, many reflect upon the life and death of our great leader. 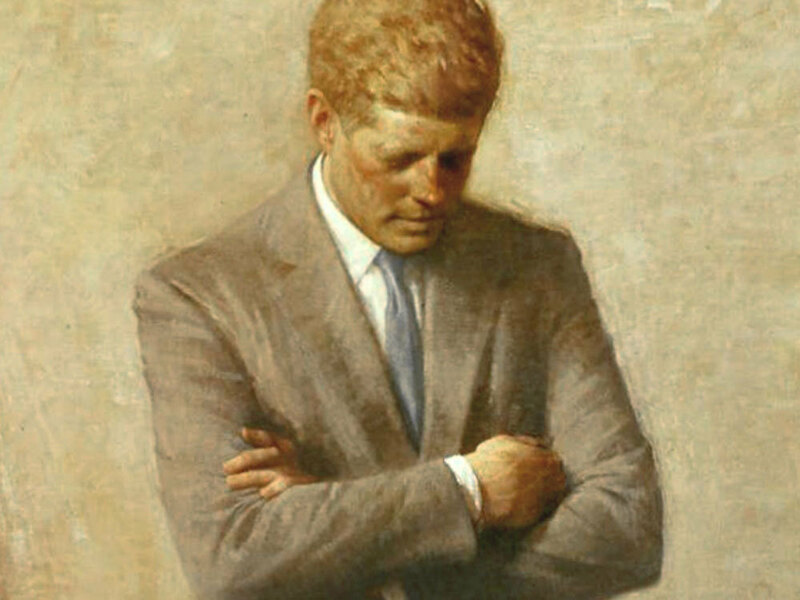 alt= "Elegy for a Young American JFK John F Kennedy"
The recording below is live recording from the Boston Symphony Orchestra on November 22, 1963. At the time many people had heard the news that President Kennedy had been shot, but many had still not heard confirmations that the president was in fact dead. The conductor, Erich Leinsdorf, announces to the audience the news, and the symphony decides to carry on with the show although altering their intended piece....instead choosing to perform Beethoven's "Eroica" funeral march from his 3rd Symphony. He later explains that he chose to carry on because when his father died he went to the symphony that same day and it helped to console him. This is why I love music so much, it's ability to transport us, to console us, to heal us. The radio microphones were present at a Boston Symphony Orchestra concert at an extraordinary moment in American history. On November 22, 1963, conductor Erich Leinsdorf was leading the regular Friday afternoon BSO concert at Symphony Hall. Before the program began, it had been reported across the nation that president John F.
President Kennedy, may you rest in peace but may your words and spirit carry on.